Karel van Spengen beker 2013: Some of the former Netherlands Internationals (The Old Guys) take-on the current Netherlands U18 Team (The Young Guys) at Hilversum for the annual Netherlands Internationals Oud v Jong match. Hilversums vets team De Bosbokken took on the vets from Amsterdam AAC for the Eibert Stoffels trofee. With the Bosbokken winning the match the Trophy remains in the care of Hilversum until next year. 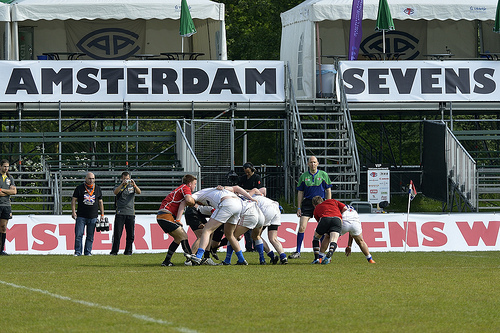 Day 1 of the 41st Amsterdam Sevens. Hilversum do it again… for the third time in a row Hilversum win the Dutch National Rugby Championship after beating Gooi for the 2012 title. Round one of the 2011-2012 Dutch Rugby Season, with Haagsche RC taking on last season winners, Hilversum RC. A lot of fast and hard rugby was played Sunday 15th May during the final day of Dutch Sevens Championships. Up for grabs were the championships title for the Colts, Ladies and Mens teams. 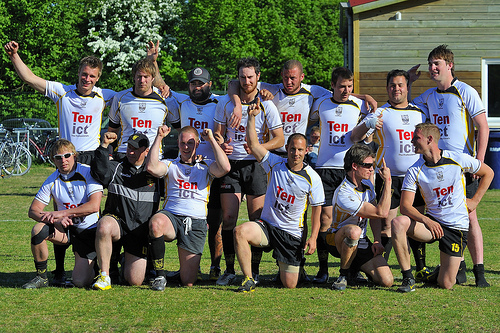 The Colts was fought between Haagsche RC and the Dukes, with Den Haag having a convincing win of 26 – 7 over the Dukes. The Ladies was a repeat battle from 2010, again it was Tilburg v Amsterdam AC. 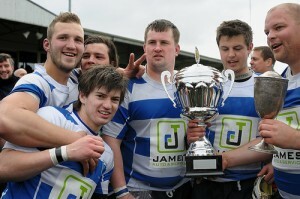 Amsterdam winning the title with a score of 38 against Tilburg’s 7. These two teams appear to be at a constant head-to-head as they also faced each other in the Dutch National Championship just last month. OK when it came to the Mens final this was a Sevens match not to be missed. A nail biting match between Hilversum and Eemland, difficult to know which way the game was going to go, many high-speed runs which got the supporters going, and quite a few heavy clashes between the teams. The result at the end of time was a draw of 24-24. Extra time of 5 minuets each way was allocated but with sudden death, so the first team to score wins. Four minutes into the first half of extra time, Hilversum breaks through a strong Emland defense and manages to score the winning try, End result: Hilversum 29 v 24 Eemland. Hilversum RC. Dutch Championship (Men) 2011. Hilversum RC, Dutch Championship (Men) 2011, following their win against The Dukes at the National Rugby Center in Amsterdam.